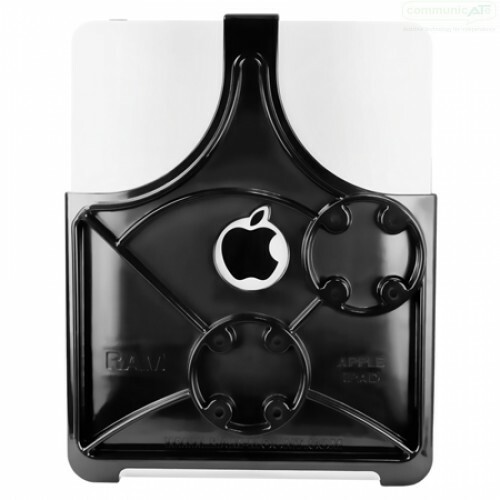 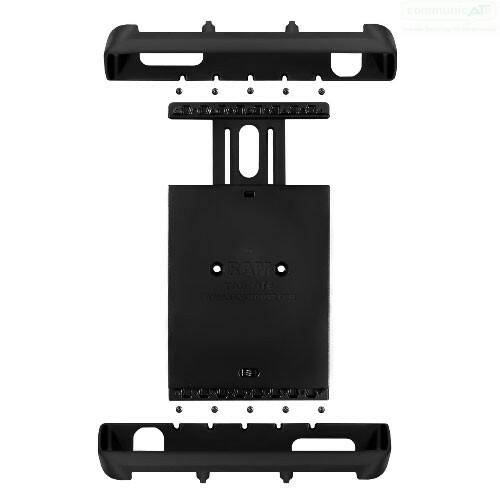 The RAM Suction Cup Table Mount with Triple Base for iPad Air, Air 2, Pro 9.7, iPad 2017 and iPad 2018 offers a simple attachment of iPads to clean, non-porous flat surfaces like acrylic trays, laminated desks or tables. The triple base adds more attachment security and stability however requires more table/surface space. 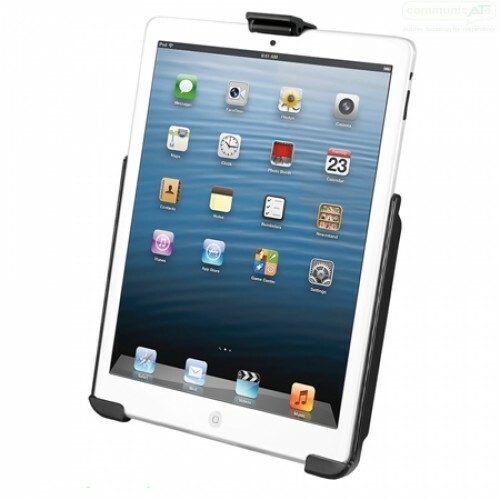 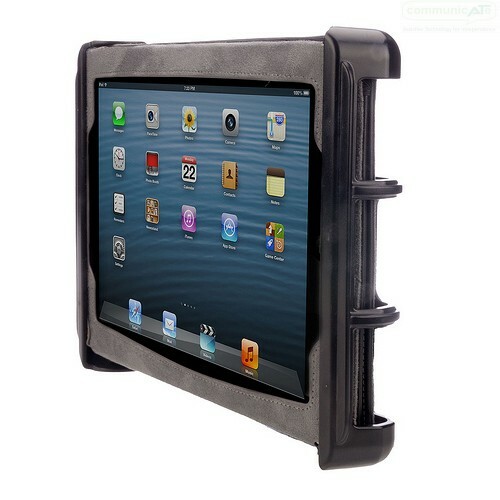 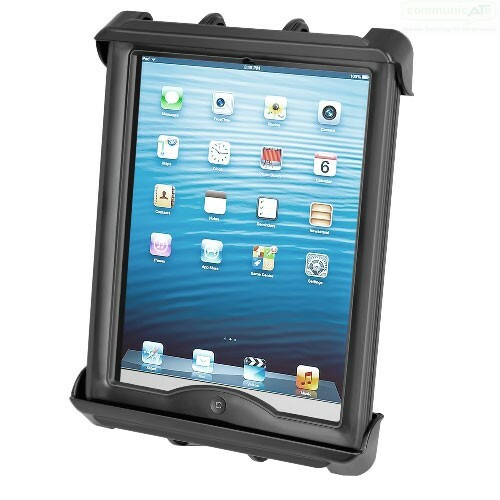 Choose EZ Roll'R Tray for iPads not used in a case or Tab-Tite Cradle when your iPad is used in a protective case. 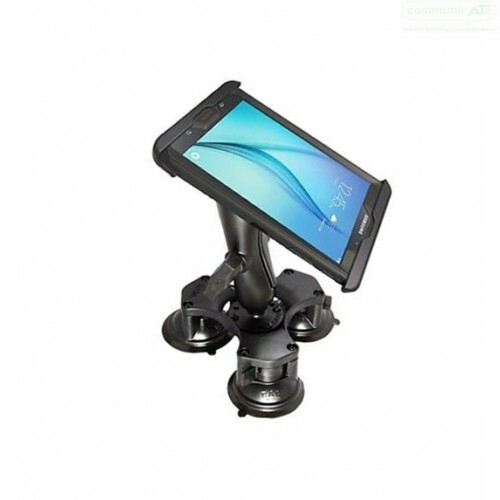 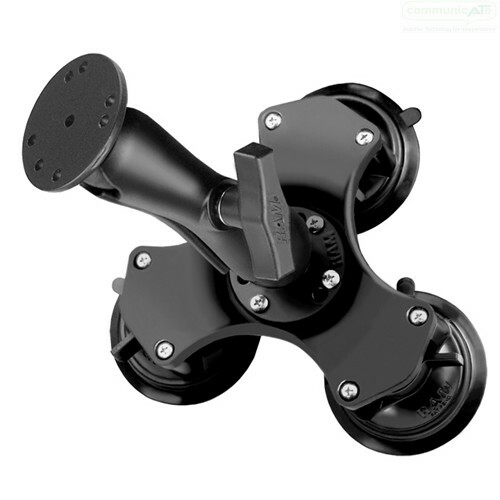 The RAM Table Top Suction Mount with Triple Base for iPad Air/Air2/Pro9.7/iPad 2017/iPad 2018 consists of a high strength composite cradle and patent pending roller design, a dual ball-and-socket mounting arm and a triple suction cup base. 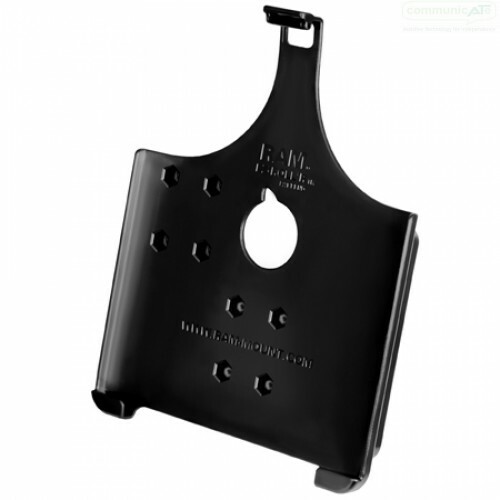 Super stability and holding power! 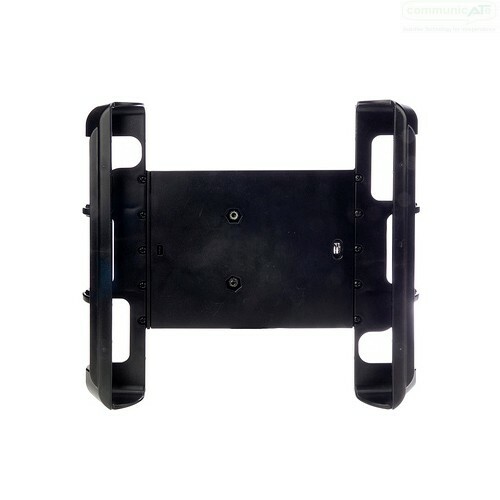 Not compatible with iAdapter or GoNow Cases.